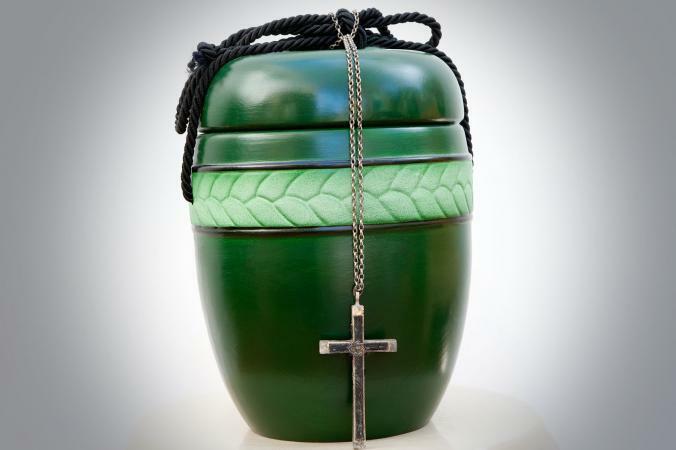 When a loved one dies and is cremated, family members sometimes like to wear the cremains as a way of keeping their loved one close at all times. If you want a piece of memorial jewelry, but have a small budget there are many beautiful options available. Jewelry that includes the ashes of a loved one is highly personal so don't let your budget get in the way of this sentimental purchase. These great options feature simple, timeless designs perfect for everyday wear and sell for $25.00 or less. For a modern spiritual look, try the silver Memorial Ashes Love You Cross Necklace. The lack of extra ornamental decoration makes this a unisex option. The pendant is a 1 3/4 inch tall metal cross with a viewing window in the center of the vertical part. This allows you to see the ashes while you're wearing the piece. Open the screw top to fill the enclosed glass vial. Engraved on the cross arms are the words "Love You." A 20-inch stainless steel chain is included. You can also have your necklace put in a special gift box for under $12.00. If you order two or more necklaces, you also get a free filling kit. The Angel Wings 925 Sterling Silver Urn Necklace is a pretty piece of jewelry. It is dainty, yet very detailed. The bar urn has an angel wing on each side giving it a subtle heart shape. The urn itself is just under 3/4" in size and is made from 925 sterling silver. It comes with a 16 to 18 inch adjustable silver chain. There is a gift box and silver polishing cloth included as well. This necklace costs about $25.00. This Purple Speckle Heart Stainless Steel Charm Bracelet is very pretty and detailed. The bracelet has a link design, has a clasp closure and is 9" long. The heart-shaped charm is adorned with purple crystals. The charm will hold a small portion of cremated remains, a lock of hair, burial soil or dried ceremonial flowers. It easily seals with a threaded stopper screw and with the use of some modeling glue or epoxy, it will make the seal permanent seal. The price is $24.95. Rings are easy to wear every day with any outfit, especially a simple yet pretty silver one like this. The Tiny Cremation Urn Ring is a premium stainless steel ring with a heart-shaped urn on the top. It will never rust, corrode or stain. The removable screw on top of the heart urn makes it easy to load. This ring costs about $18.00. For a truly unique and understated, modern look, consider the Classic Bangle Bracelet. This polished, waterproof, stainless steel cremation urn bracelet is a beautiful piece of jewelry. On one end there is a screw you remove to fill the bangle with ashes. At 7.8 inches long, the bracelet is one-size-fits-all. It comes with a beautiful velvet gift bag and funnel filling kit. This bracelet is designed to ensure that there is always a part of your loved one close to your heart. The bracelet is about $12.00. If your style is more dressy and upscale, or you prefer to keep this piece of jewelry only for special occasions, these luxurious options fit your look and any budget. The addition of varied materials or extra design elements give the appearance of an expensive piece of jewelry with an affordable price under $25.00. Those who love an original style with artisan flair, this is the necklace for you. This Resin Urn Necklace with a teardrop shaped charm has real dried flowers inside and are handmade making each piece unique and no two alike. Tiny flowers are encased in a crystal clear resin over a secured glass vial pendant. The size of the pendant is 1" x 3/4" x 1/4". It comes with a pretty stainless steel 2mm thick chain that will not readily corrode, rust or stain. The necklace comes in different lengths and the urns come in six colors to choose from. There is a bead over the top of the urn screw that comes off when opened to help bring beauty to the pendant. Sleeping or showering with your pendant on is not recommended. A microfiber cloth like the ones used to clean phone screens are great for cleaning your urn. It is also recommended to glue your urn permanently. The Resin Urn Necklace costs $24.00 for the 18" necklace. If timeless and traditional describe your style, consider a classic locket. This Two-Tone Memorial Angel Locket Pendant is mostly gold plated. The front has a silver-plated insert panel with the image of an angel engraved on it. One side of the interior features the same silver-colored panel with an engraved sentimental phrase about the difficulty of the loss. The entire pendant is an oval shape hanging on a 20-inch rope chain. The other side of the interior is an open space where you can place a picture of a loved one or glue on ashes. For under $10.00 you can wear your memories in what looks like a customized necklace. For formal occasions or business work attire, men can dress up a shirt and tie look with their classic, customized tie clip. Made with clay or resin, this elegant, one-of-a-kind Men's Tie Clip features several customization options. For only $18.00 you choose either bronze or gunmetal for the long part of the clip and base. Next, you'll pick a clay color or opt for the clear resin finish. For added personality or sentimental value, you can have the ashes mixed with other crushed materials like shells or colored glass. You mail a small amount of cremains to the artist with any special instructions, and they custom make your tie clip. Have your loved one's ashes made into something beautiful like these Memorial Ash Round earrings. Handmade with resin, glass, surgical steel, and the ashes you send. These small earrings come in 29 colors. Choose a color to mix with the ashes, request the ashes be visible on top of the color, or opt for earrings made only from the ashes with no color. You mail one teaspoon of ashes to the artist and she custom makes your earrings. These unique works of art sell for about $15.00 and are about 1/2-inch wide each. 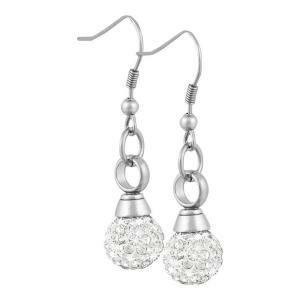 Carry a loved one with you always when you wear these simple Crystal Ball Stainless Steel Earrings. Small crystal balls dangle from polished stainless steel hooks and hold less than one cubic inch of ashes. They are loaded by removing the stopper screw at the top of the crystal ball. Each set costs about $25.00 and includes a black jewelry box, instructions and a funnel. When you purchase an accessory, check to see if it comes with filling instructions or if the retailer offers directions on their website. If not, these simple methods should work. The jeweler should provide you with a small funnel. Stir the remains with a pencil before filling the pendant. After you fill the container, use a small amount of glue to seal the pendant. You can use white glue or silicon seal. Filling a locket requires a different technique. Open the locket and put a small amount of glue on one side. Next, place a small amount of ash on top of the glue. Stir the glue and ash mixture with a small stick (a toothpick could be used for this purpose) and let it dry thoroughly before wearing the locket. 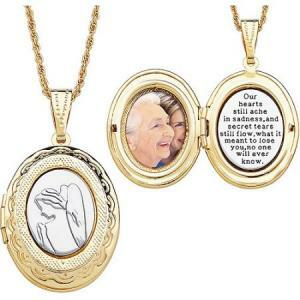 Some people choose to place a photo of the deceased on the other side of the locket. In the case of a locket to commemorate a pet, you could add some fur. Even cheap jewelry becomes priceless when it carries a piece of a deceased loved one. A few simple tips and reminders keep your piece safe and wearable forever. Keep it in a case, jewelry bag, or jewelry box when you're not wearing it to protect the piece and keep from losing it. Remove the piece before showering, swimming or getting wet. Water can damage the jewelry and may seep inside if not properly sealed. Don't wear it when using harsh chemicals or performing heavy labor tasks. These things can ruin the jewelry by tarnishing or breaking it. Clean your piece regularly with a jewelry cleaning cloth to keep it looking great. This piece of jewelry is irreplaceable so take extra care to keep it safe and clean. Wearing the ashes of a loved one is comforting for many who are grieving. No matter your budget, beautiful and unique cremation jewelry is an option. Consider which kind of jewelry you wear every day and look for something that fits your style.